Start your New Year off on the WRITE foot with an enjoyable three-day writing retreat at the Buddhist Retreat Centre in Ixopo. The Art and Heart of Writing Your Story is a hands-on inspirational retreat for those who have a burning story to write but need help finding the fire-starter. Fireside talks, scenic walks, inspirational space and creative support are the order of the day. The writing retreat will be conducted by Elana Bregin, an experienced published writer, editor and creative-writing facilitator. She worked for 11 years as a publishing-house editor and has accompanied many authors, both novice and experienced, on the journey to published success. 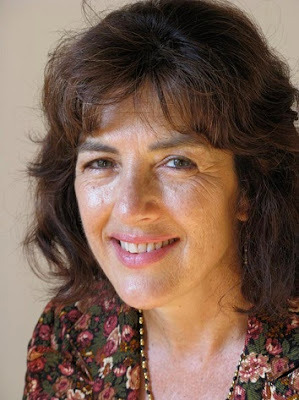 She has a particular interest in the therapeutic aspects of story-writing and its ability to reconnect people with personal meaning and the wider currents of life in which they are embedded. “The creative act of writing involves much more than plotting a good storyline and putting the right words together. It is a process of reflection, mindful observation - an engagement with yourself and the world around you at the deepest and most satisfying levels of awareness. It is also a potent healing tool that can give you the objective distance to detach yourself from your over-familiar internal script and see your life in different and wider perspective,” explains Bregin. “This retreat is designed to offer support for whatever stage of writing you’re at, even if you don’t have an actual story in mind. In the beautiful BRC setting of trees, flower gardens, hills, windchimes, birds and stars, participants will begin the journey of finding, clarifying and shaping the story they really want to tell. Whether your intention is personal memoir, fiction novel, or simply to renew your creative fire, the workshop aims to put you in touch with your inner writer, and give you the tools and insights to accomplish your writing goal. It will explore both the practical strategies of getting your story written and the inspirational aspects that fuel it,” she adds. The Art and Heart of Writing Your Story takes place at the Buddhist Retreat Centre in Ixopo. It starts on January 8, 2018, (evening) and ends on January 11, 2018 (lunchtime). Cost of Workshop: R1,600 plus three nights BRC accommodation (not included).